Mohs surgery is a tissue-sparing cancer treatment technique with very high success rates. 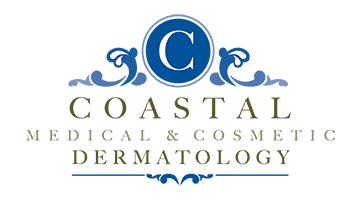 Dr. Darrell Gonzales and his team at Coastal Medical and Cosmetic Dermatology in San Diego, La Jolla, and Chula Vista, California, are trained in Mohs surgery techniques for state-of-the-art treatment and optimal outcomes in patients. The team offers the best care possible while still minimizing the appearance of scarring. Call or request an appointment online to schedule your Mohs surgery consultation. Mohs surgery is a technique developed more than 70 years ago that enables some skin cancers to be removed in a very precise manner that helps avoid scarring and minimizes the loss of tissue. While it cannot be used on all skin cancer lesions, it is often the preferred technique for many lesions on the face or other areas that are widely visible because of its tissue-sparing approach. It's most commonly used to treat basal cell cancers but is also widely used for other types of cancers. Before surgery begins, the treatment area will be numbed using a local anesthetic. Mohs surgery removes tissue bit by bit, and after each removal, the tissue is examined under a microscope to help determine if all the cancer cells have been removed. The lab examination of tissue is performed right on site to minimize the time involved. Once the doctor determines all the cells have been excised from the area, the wound is carefully closed to minimize scarring, and a bandage is applied to the area. Why is Mohs a preferred technique for some skin cancer lesions? In a non-Mohs surgery, the visible lesion is completely removed and the edges, or margins, are examined for the presence of skin cancer cells. Often, these traditional surgeries involve larger excisions to increase the likelihood that all the cells will be removed. However, this approach can also leave a large scar. Mohs is more conservative, using a series of small excisions to ensure only the required tissue is removed and resulting in a much less noticeable scar. Many skin cancers can be far more extensive than they may appear on the surface, as they extend well below the skin and throughout muscles, blood vessels and other tissues and structures throughout your body. Mohs surgery identifies these areas of cancerous tissue that may be “missed” with traditional surgery techniques in order to help patients achieve far higher cure rates while also minimizing scarring and disfigurement. Will I need to have someone drive me home? Mohs surgery does not use general anesthesia, and you should not need anyone to drive you home once the procedure is over.